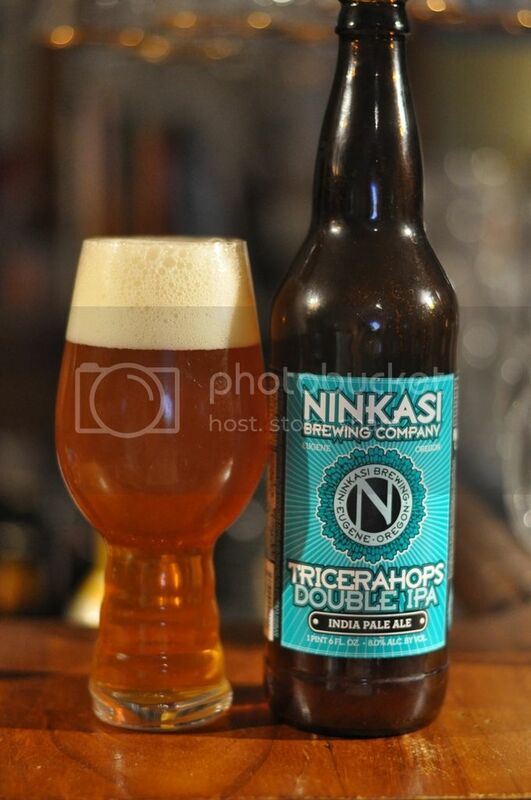 Ninkasi's Tricerahops has been a beer that I've been wanting to try for years! "Tricerahops" was actually a candidate for the name of the segment that became Et Ceterbeer, way back in 2012 when I ran that competition. Ever since then Ninkasi's Tricerahops has been on my bucket list. First some history/trivia; the brewery is based in Eugene, Oregon, a city of about 160,000 people with a number of breweries. The brewery draws it's name from Sumerian, an ancient civilization in what is now Southern Iraq, mythology. Ninkasi is the Sumerian goddess of beer and brewing, a god I could certainly see myself worship! Enough of that, you're all here for the beer review! Tricerahops pours an orange colour with a 2 and a half finger head of off white. The head retention was quite good despite a number of large bubbles forming in the head quickly. The body of the beer is partially translucent and isn't too far away from the colour that my favourite Imperial IPA's tend to be. This is boding well for this beer. Onto the nose and it had a pleasant surprise for me, an aroma I hadn't smelt in years; kumquats! We used to have trees and ferment them in brandy, it's a very distinctive aroma! Anyway, there's also plenty of citrus, stone fruit and pine in combination with some caramel malts. Ninkasi's Tricerahops packs a big punch, much like I assume the dinosaur it is named after would have. It's got a big caramel malt backbone and even bigger hop punch. There's plenty of pine, some citrus and apricot. The mouthfeel is full bodied and yet it still finishes dry. 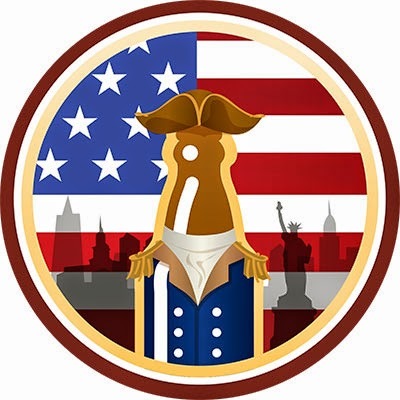 This beer is a really good example of an American Imperial IPA. For those who are huge hopheads, there is more than enough bitterness - whilst it will also appeal to those who like a more balanced beer with a huge caramel malt backbone. I'm glad to tick this beer off my bucket list, and even gladder that a beer I picked for it's name actually turned out to be a great beer! Geez mate, how many beer glasses do you have? Crap, guess you don't live in inner city Sydney then! You should do a special report on your collection. Or rather a series of reports noting the volume involved. Finish off with a top 25 list.